The north Norfolk coast is always a wonderful place to visit, but this weekend it’s even more special. Towns and cities may have switched on their Christmas lights in November and Santa may have made a few inappropriately early appearances, but none of that really kick started the Christmas festivities. This weekend the north Norfolk coast will get you in the mood for the most festive December you’ve ever had. 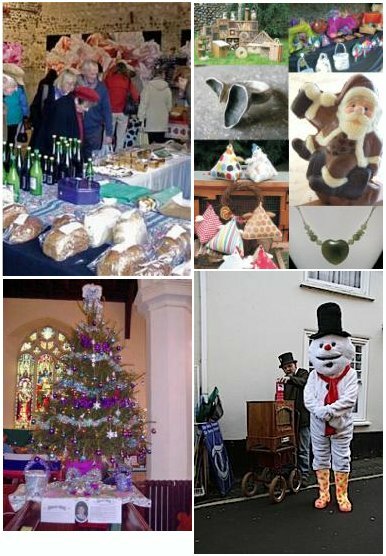 Four major events on the north Norfolk coast mark the start to the Christmas festivities – Creake Abbey Studios Farmers’ Market - Deepdale Christmas Market - Fakenham Christmas Tree Festival - Wells Christmas Tide. There never been a better excuse for spending a night or two on the north Norfolk coast! There is still accommodation available locally. Information on accommodation can be found on www.burnhamdeepdale.co.uk including hotels and B&Bs. Deepdale Backpackers & Camping (www.deepdalebackpackers.co.uk) have tipis and some rooms available, there is also camping for the very hardy!